Want to add even more? 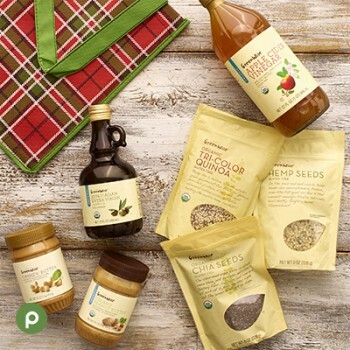 Pick up a few of their favorite rubs or marinades to add extra flavor to this grilling goodness gift bag. 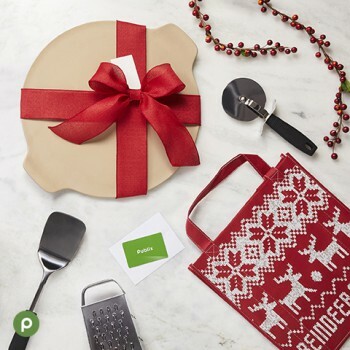 Personalize this gift by adding your favorite pizza recipe! Add some color to your gift by including frosting, sprinkles or food coloring, all of which any baker would enjoy! Want more? 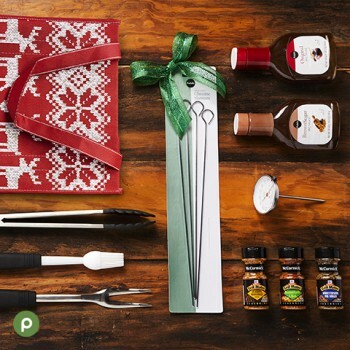 Gift them a class to our Aprons Cooking School to hone their skills. Want to add a sweeter touch? Stop by our produce department for a great selection of GreenWise packaged sweets and dried fruits. Try something unique like a Mediterranean basket for those who love to try new things! Dried fruit including figs, dates and nuts. 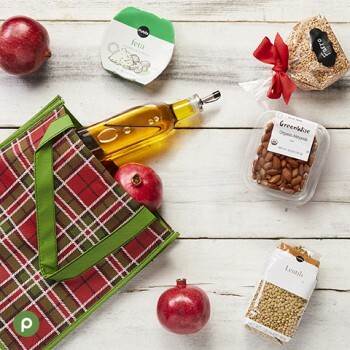 Include some of your favorite Mediterranean recipes for a personal touch! 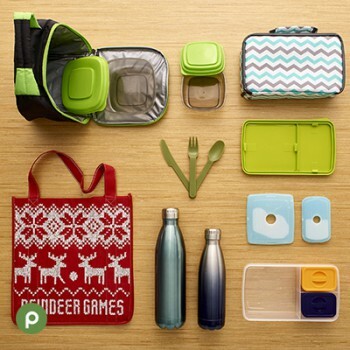 Include road trip games or travel tips to complete the package! Want to gift something small? 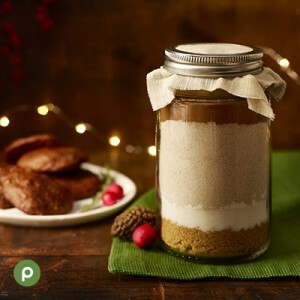 Grab a mason jar and layer ingredients to make a yummy treat. 1. Layer all ingredients in jar. 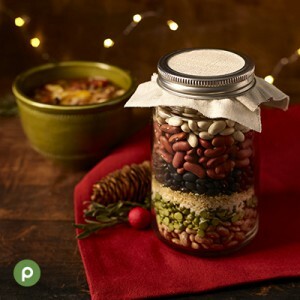 Place lid tightly on jar and give as gift with cooking instructions. Preheat oven to 350°F. Line baking sheet with foil. Place contents of jar into large bowl and whisk to blend. Place bananas in small bowl and mash with a fork. Whisk egg and 1/4 cup water into banana. Add banana mixture to dry mixture and stir to blend into a dough. Gently fold in chocolate chips. Scoop cookies (about one tablespoon) onto prepared baking sheet. Bake 18–20 minutes or until edges are crispy and center is still soft; remove from sheet and let cool before serving. Layer all ingredients in jar. Place lid tightly on jar and give as gift with cooking instructions. 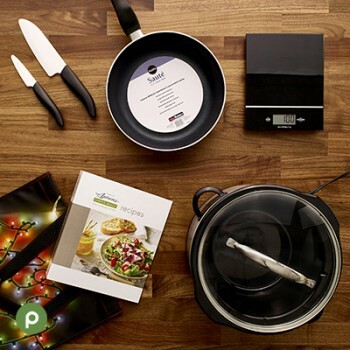 Preheat large stockpot on medium-high 2–3 minutes. Place 12-oz lean ground beef in stock pot; brown meat 5–7 minutes, stirring to crumble, until no pink remains. Add 6 cups water, tomatoes, and contents of jar to beef. Cover and bring to a boil for two minutes. Reduce mixture to a simmer; cook uncovered 1–1 1/2 hours or until beans are tender and soup is thick. Remove and discard bay leaf. Serve with your favorite crusty bread. 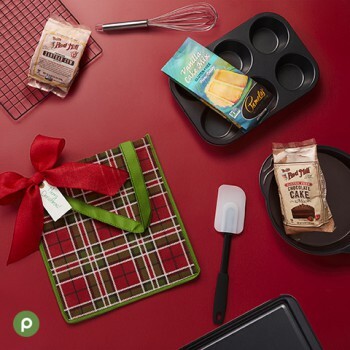 We hope this has inspired you to put together something special for those you love! What homemade gift baskets have you put together?